Jeff's 26+ years as a Real Estate professional has given him the unique ability to connect with his clients and understand their real estate needs. This has helped contribute to his continued success in Mississauga and other surrounding communities. Because Jeff has helped his clients move many times over the past 26 years, it has given him not only vast knowledge of the Mississauga area, but also many other neighbourhoods throughout the GTA. 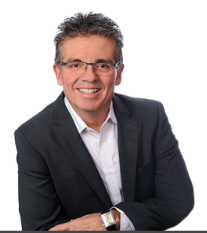 Prior to joining Royal LePage Meadowtowne, Jeff spent over 20 years working for another Brokerage in Toronto. This experience gives him vast knowledge and market understanding throughout many differernt neighbourhoods. These are just some of the reasons to use a Seasoned Professional when dealing with one of the biggest investments you will ever make, your home.